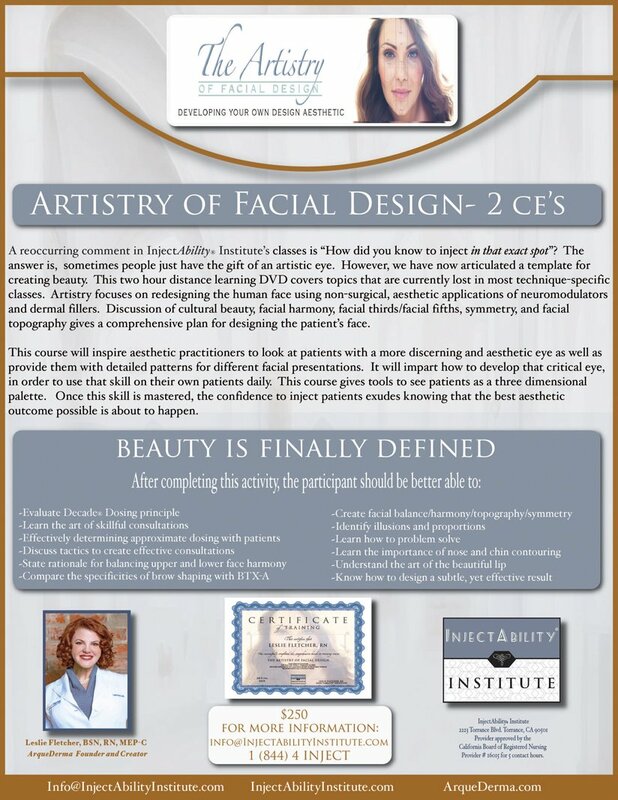 A didactic-only art course focused on redesigning the human face using non-surgical, aesthetic applications of neuromodulators, dermal fillers, and pharmaceutical skin care. It is a discussion of cultural beauty, facial harmony, facial thirds and facial fifths, symmetry, and facial topography. Provides a comprehensive plan for designing your patient’s face.